Black Friday & Cyber Monday are the best sales day of the year, that's for sure. 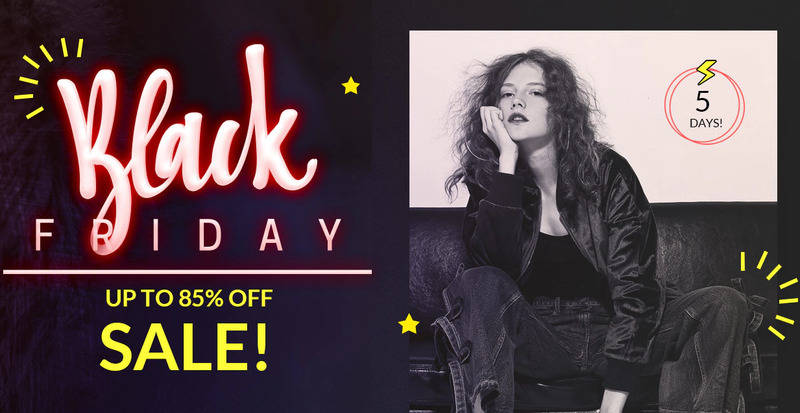 In order to celebrate the special day, Dresslily Black Friday & Cyber Monday Sale (KLIK) will provide some really awesome deals to all customers. To help you plan your Dresslily (KLIK) itinerary, we've made this early peek guidelines to help you! That's right, up to 85% Off discount is what we're about to hand over. Early deals have already started, with the Countdown to Black Friday sale. Dresslily (KLIK) offers flash deals on various items, no matter you're a dress/men'swear lover, we got you covered! From November 24th ~ November 26th. credit card at the ready! You think 85% Off is our limit? Well, we could push it even harder. From November 27th ~ 29th, up to 90% Off discount awaits. Be prepared! Buy more & save more, Be smart by using Dresslily (KLIK) coupon before ordering any item in your cart! Up to $24 Off? No problem! Dresslily (KLIK) made it this far because of your great support. From November 24th ~ 29th, all VIP customers will receive a surprise gift. And all new sign-ups get a 15% Off coupon. Don't forget to check your mailbox! If you miss these huge discounts, you'll miss it for a year. Are you ready?